All load indications are theoretical maximums. 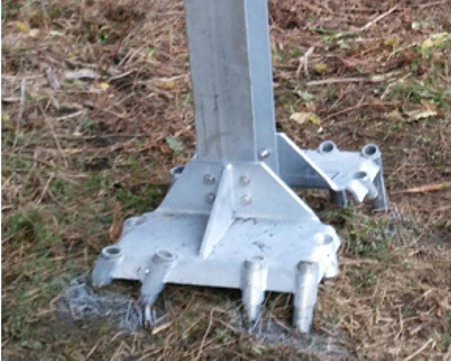 Surefoot solutions should only ever be designed by Surefoot engineers (or indepedant structural engineers) using foundation loads and site specific soil data. 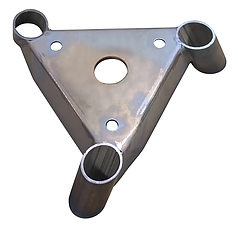 For special cases we can design and quickly fabricate custom Surefoot systems based on individual project requirements. 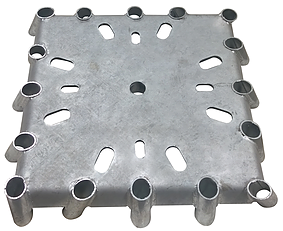 We have made custom designed plates, adapting the Surefoot technology to fit bespoke shaped structures and special proprietary uses, We can also offer custom finishes such as stainless steel, teflon or epoxy 2 part system finishes for extremely harsh environments. 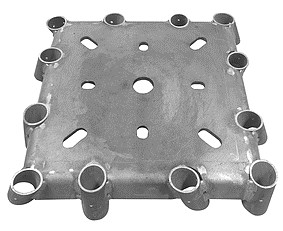 For large towers, masts and posts with high bending moments, if a single Surefoot base isn´t enough you can combine models using a sub structure to achieve the desired specifications. Contact us for a tailor made solution for your construction problem. 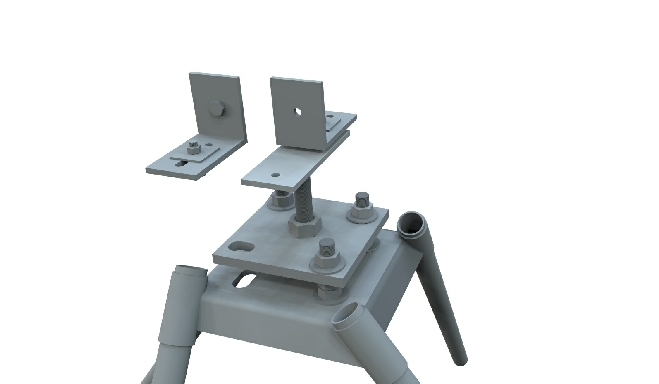 A standard catalogue of dozens of attachment designs to fix Surefoot to any type of construction element. 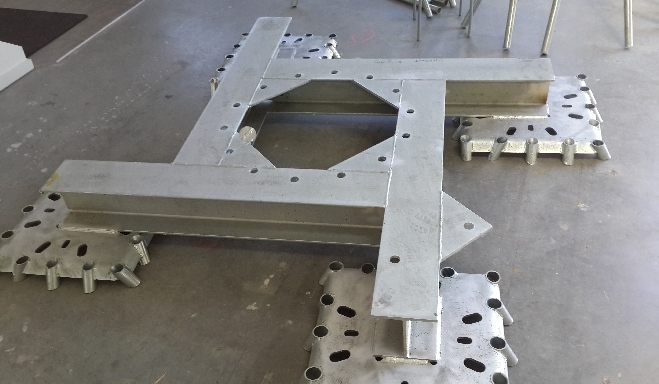 Custom design and fabrication of specific connections for your building system. 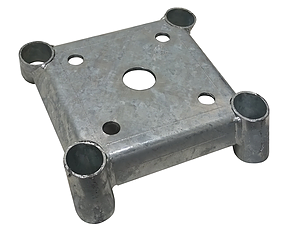 Contact us with detalles of your construction problem, if the standard attachments are not optimal we will design and fabricate to order. 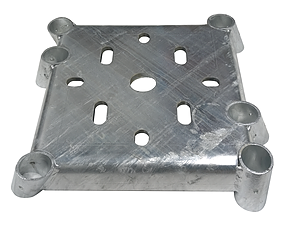 Surefoot can arrange full installation services. From small self build projects to large EPC projects we can organise installation teams to install your system. Europe wide and international installation is possible, alternatively we can offer training and/or consulting/supervision packages to ensure your project goes smoothly. 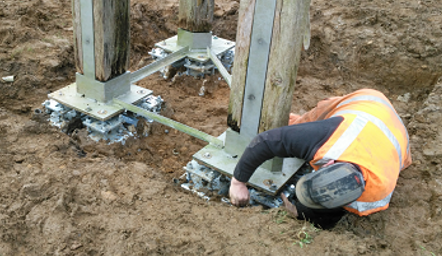 Surefoot used galvanized high tensile Steel piles, 420n/mm2 super steel tubes with 4 and 5mm Wall thickness. We use this pile for residential and commercial foundations as this enables long design life and excellent corrosion performance. 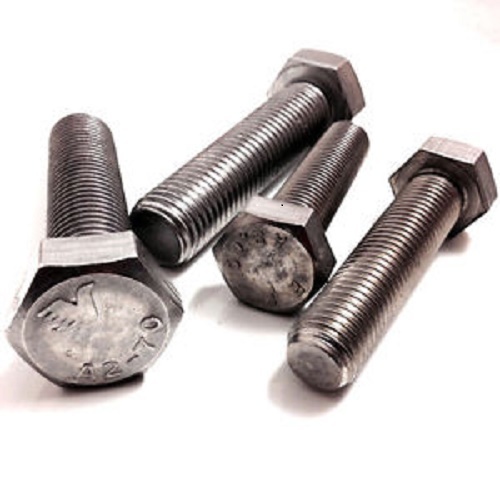 2.6 and 3.2mm standard pile tubing is also available where necessary. Contact us for more information. 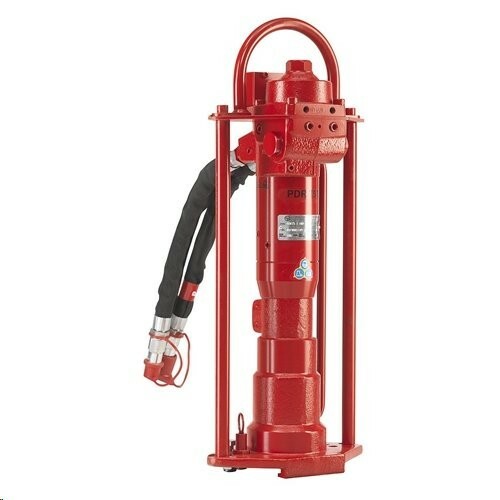 Complete Installation sets based around customized/modified hydraulic and compressor driven portable machines. We can provide complete kits for independant install teams for large projects or companies who wish to install inhouse.